Born in Wilmington, Delaware, Yvette Freeman grew up in a musical family and has loved to act and sing since she was young. After graduating from the University of Delaware with a major in Art and Theater, Freeman starred in Ain’t Misbehavin’. She then went on to perform in many musicals, including Nunsense, Show Boat, Best Little Whorehouse in Texas, Member of the Wedding and The Wiz. Meanwhile, Freeman has amassed an impressive resumé of TV and film credits. She played Nurse Haleh Adams on ER from 1994-2009. She has also sbeen a guest-star in numerous series including NIP/TUCK, BOSTON PUBLIC, PRETTY LITTLE LIARS and SISTERS. Her feature film credits include roles in Switch, Dead Again, Children of the Corn III and the HBO movie NORMA JEAN & MARILYN. In 2009, she joined B&B in a dayplayer role as Dr. Lewis. As her tough but firm doctor has helped Stephanie (Susan Flannery) deal with Stage IV lung cancer, Freeman became a very important part of the story. Freeman is married to jazz pianist Lanny Hartley. They have two cats, Sam and Phoebe. Her official Web site is www.yvettefreeman.com. Lost 110 pounds when she began to experience health problems due to diabetes. Directed and produced the shorts Remember, The Blessing Way and Hideous Scream. Is one of seven children. Father is jazz pianist Charles Freeman. Won an Obie Award in 1996 for playing Dinah Washington in Dinah Was. 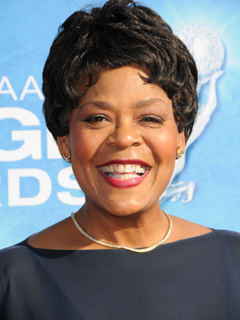 For the first time, the NAACP Image Awards will air the TV Daytime Drama categories live on-air during its annual award ceremony, held this Friday, March 4, from 8-10 p.m. on Fox.